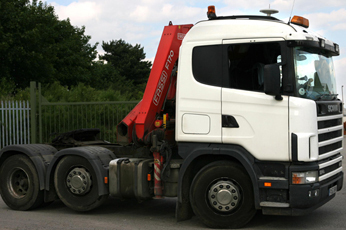 Clipstone Services Ltd run a reliable haulage company, transporting goods nationwide, anywhere within the UK. Based in Mansfield, Nottinghamshire, we offer clients peace of mind that their goods, materials or machinery will be handled with care and attention, before the time effective transit to their destination using our fleet of lorries including: flat bed lorries, low loaders, curtain sided lorries, HIAB trucks, beavertail vehicles and many more. Clipstone Services Ltd offer a high quality, professional transportation service and offering cost effective solutions for your haulage needs. We offer an extensive service delivering to and from anywhere in the UK. Clipstone Services Ltd are highly focused on customer requirements, resulting in high levels of flexibility, efficiency and control in the scheduling process; allowing us to respond effectively to short lead times. We can adapt and tailor a cost effective transport solution to suit your requirements.